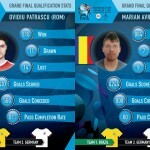 Learn how to qualify for this years FIFA Interactive World Cup 2014 (FIWC 2014) in Rio with help from our friend and previous FIWC World Finalist Ovidiu “Ovvy” Patrascu. He brings you his excellent Tutorial with Gameplay Hints and Tactical Advice to help improve your chances to qualify for Rio. The tenth edition of the largest videogame tournament in the world promises an unforgettable tournament with the announcement that 2014 FIFA World Cup™ hosts Brazil will also host the FIWC 2014 Grand Final. That’s right, the FIFA Interactive World Cup 2014 will be held in Rio de Janeiro during the 2014 FIFA World Cup™! 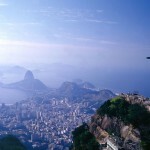 Increase your chances to go to the Grand Final in Rio by following Ovvy’s hints and tips. Do you want to be among the 20 Grand Finalists enjoying a 2014 FIFA World Cup experience in Brazil? Visit the How To Play section of FIFA.com/FIWC to familiarize yourself with the FIFA Interactive World Cup. The section walks you through every aspect of the competition, from how to sign up, to the tournament format and, most importantly, how to qualify! Your FIWC journey to the heart of the 2014 FIFA World Cup begins now! Do you have what it takes to win the FIFA Interactive World Cup? Our FIWC14 champion will talk away with USD 20,000 and a trip to the FIFA Ballon d’Or! Sign up now! To stay up to date all the latest news, tournament information, videos and announcements follow @FIWC on Twitter and become a fan of the official FIWC Facebook Page. You can also watch FIWC videos on YouTube by visiting FIFATV on YouTube. FIWC 2014 | How Easy is it to Sign Up?